The Anniversary Day Picnic is back on at Stockade Hill this weekend to celebrate five years of fighting for Howick views. Howick Ratepayers and Residents Association (HRRA) has been fighting for five long years since the inception of the first Draft Unitary Plan to ensure that Howick’s wonderful views and the low-rise historic village retains its uniqueness and we intend to celebrate this next weekend with a picnic for all on Stockade Hill on Anniversary Day beginning at 2pm. 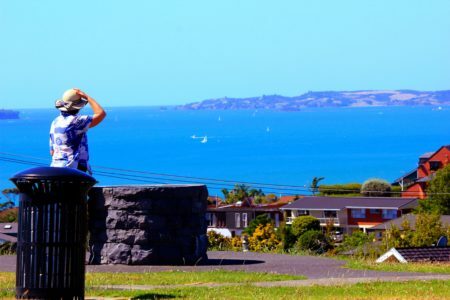 Although HRRA won significant victories during the process of the Unitary Plan hearings, the increased heights notified opposite Stockade Hill and in the Howick Village came as a huge shock in late 2016 and resulted in our petition to Council to save our precious views from Stockade Hill and Crawford Reserve. At the end of 2017, council moved to address some of these issues by creating Plan Changes 3 and 4. We are now in the final stages of defending our position regarding these changes in front of a hearings panel who have received submissions both for and against these Plan changes. This battle over the heights of the village area should never have happened. The eminent judge of the Independent Hearing Panel for the Unitary Plan agreed with Howick Ratepayers and Residents Association at the Unitary Plan hearing that the existing heights in the village (i.e. the advertised heights when the Unitary Plan was first proposed) were to be retained. However, when the new council GIS maps were drawn, mysteriously, the height limits from the Crawford Medical Centre to Parkhill Road and other areas of the village were omitted despite this section of the map being clearly delineated in purple, along with part of the rest of the Howick Special Business Area overlay which was all supposed to have a nine metre height limit. This resulted in erroneous ideas that although the rest of Howick Business Area had the Special Character status limiting heights, somehow this small section was exempt and apartments would go to 18 metres. The council has now moved to correct this error and to reinstate the original heights following the recommendations of the Independent Hearings Panel. In the January 30 public hearing at the Town Hall, Howick Ratepayers and Residents Assn will oppose the arguments advanced by Housing NZ Corp who regard themselves as the guardian of intensification everywhere in Auckland and we will support the council’s Plan Change 4 correction of these errors. (We are buoyed up by the fact that 250 people wrote additional submissions to this Plan Change and everyone was supporting this reinstatement of height limits). Don’t forget to join us on Stockade Hill on Anniversary Day from 2pm. Howick Ratepayers and Residents Assn Inc.